The trunk of the IVEF SDK now supports PHP as programming language. With the same ease as in the other languages, you can now create a PHP environment that supports IVEF. PHP is particularly useful when using a REST protocol over HTTP to integrate the IVEF traffic image in a SOA architecture. 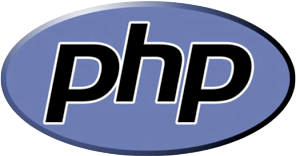 PHP adds a powerful language to the software development kit, which allows rapid development and high level exchange of the traffic image. *The PHP version of the library handles only complete XML messages and not partial messages as the Qt/Java/Objc versions do. This is because PHP by definition is a stateless protocol and not a streaming protocol. It is highly unlikely that XML messages will arrive at the PHP parser in snippets. PHP: Hypertext Preprocessor is a widely used, general-purpose scripting language that was originally designed forweb development to produce dynamic web pages. As a general-purpose programming language, PHP code is processed by an interpreter application in command-line mode performing desired operating system operations and producing program output on its standard output channel. It may also function as a graphical application. PHP is available as a processor for most modern web servers and as standalone interpreter on mostoperating systems andcomputing platforms.